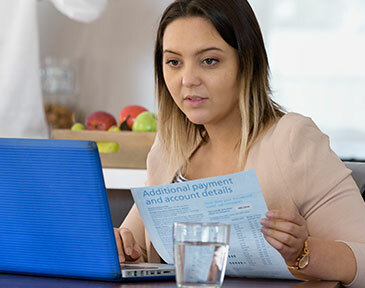 You can report faults and service interruptions, including leaks and breaks plus water meter issues, by calling our 24/7 Customer Care Centre on 1300 SA Water │ 1300 729 283 or completing a form online. You can also see where we are working on major faults and scheduled interruptions on our map. We also tweet about major faults and service interruptions so that you can stay informed. We monitor the mains network 24/7, and while we cannot always prevent breaks and service interruptions from happening, we do work hard to repair and reinstate services as safely and quickly as we can to minimise the inconvenience they cause. Most leaks and breaks occur due to soil movement, particularly highly reactive clay soils and changes in moisture levels. 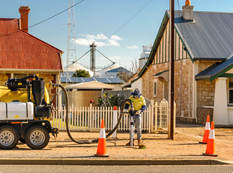 Sudden changes in water pressure as well as unintended damage during excavation or road works also cause leaks and breaks. We appreciate you letting us know when you spot a fault and use this information to prioritise repair and maintenance including the allocation of network technicians to assess the issue. On arrival, they determine what’s needed to repair it and gauge how many customers may be affected while this work is actioned. They also shut off the water. It can take time for us to do this, as it needs to be gradual so as not to cause further damage. On our technician’s advice, an equipped crew will be dispatched to repair the pipe.